We had Arkady play mostly Polish accordion pieces after dinner for my wife's 70th birthday, and he literally had guests dancing in the aisles! A wonderful and personable performer! Our guests were delighted with the music and selections played. I asked Henry to help with arranging music for my proposal. He was very professional and helpful at each step of the process. The saxophonist Stan did a great job with the songs requested and played melodiously. My girlfriend was very impressed! Very friendly and professional /My Birthday was Fun! Great! My guests enjoyed my party because of the live entertainment. Right from the very beginning of me accepting their quote, they were in contact with me. They made sure that all of my questions were answered. Henry was very professional and very personable! I hired an accordionist. Arkady was terrific! He even contacted me the morning of the event and asked if everything was good with my event! Arkady came a little earlier than his playing time and I LOVED THAT! He walked around and visited with some of my family and friends to "get a feel" of the party! Once he started playing, everyone was joining in and clapping and singing and dancing! My dad, the 90th birthday boy, was dancing and singing with Arkady! Arkady walked around while playing and everybody, both young and old, really enjoyed his playing! I am so glad that I decided to do this....Thank you Gig Salad & THANK YOU to The Internationals!! CHEERS! Wonderful experience! I had requested special music and they were willing to purchase sheet music and play exactly what I wanted. I would definitely work with this group again! I would like to share the experience for the Face Painting Service that was done by Vera. She came about 10 min before time to set up her equipment and used a really good paint. The picture was almost perfect even the next day! ( my daughter refused to wash it before sleep and kept it next day). All Face Paintings were great, very bright and well made. Vera worked very fast but highly professional. I would highly recommend Vera's service to all sorts of parties - kids or even adults as we had couple adults with cool "tattoos". 5 stars. Thank you Vera and Henry! I was doing an upscale Sweetest Day Party with the theme of a classy Wild West Saloon. Since in these joints the Saloon Girls were on a mission to keep the patrons longer in the main hall, they needed to be very entertaining for them, so they could spend more money or gold dust on booze, gambling, and 'soiled doves' upstairs. Henry Sergienko has found me a perfect Saloon Gal Inna Peschanskaya. She was perfect at 'flirting' with the mail guests and doing an almost impossible balancing act where the husbands were kept interested while their wives considered it as an innocent playing act. She was not confused with a slightly provocative outfit which we discussed and purchased among the other variants. Inna was the center of the party conducting her act and and conversing with the guests on a various topics. Everyone was giving me the compliments for months on that hit-party, and mentioning the actress. I hired Henry's team for a birthday party and everything went perfectly. Customer service on point, our singer arrived on time, was professional and had an incredible voice. Would highly recommend this service to anyone looking to hire. Thanks guys! Gosha was amazing!! He interacted with the children very well with jokes, puppets, and magic. He enlighten the room with joy and laughter. They were accommodating and very organized. They played everything requested. I highly recommend them! Thanks Henry!!!! It was amazing! Michael was very nice and carried out the plan perfectly!! Everything was perfect!! We had Arkady as the pianist for our ceremony. We had a last minute cancellation and The Internationals and Arkady were happy to help! Arkady did not hesitate at all at our requests that were not in his normal repertoire. We can't thank Arkady and The Internationals enough for helping to make our wedding ceremony perfect! Had an accordionist and violinist play at my weddings cocktail hour. Just trusted them on song selection. Everyone loved it as background music and the kids were dancing like crazy. Also probably the easiest part to plan for the entire wedding. Slam dunk. We hired Akardy the Accordion player. He was very professional, a total sweetheart, and extremely talented! He even took requests and performed them wonderfully. Highly recommend! Michael and Arkady were great! The music was perfect. Thanks for setting up and recommending them. We’ll definitely keep you in mind for any future parties we might be throwing. Coordinator, Media Relations | Macy's, Inc.
Michael was simply wonderful. He represented your organization well. I mentioned to Michael that the Deacon is planning to arrange for 6 events next year so I am planning to contact you again. Thank you for providing a professional level of support for our program. Many guests really liked their performance! We received positive feedback because of the musicians which we really appreciated. I would definitely recommend them to others without a doubt! In any future events and weddings, I will definitely contact you again. I wish you the happiest holiday! Thank you so much for a great music. I would recommend Michael for a beautiful parties - from weddings to anniversaries. Thank you so much for the violinist. Everyone loved him. It was a pleasure and i know that we will have some more requests in the future. Arkady was wonderful - he was a great addition to our Christmas Caroling; he is not only a great musician but a crowd pleaser who knows how to entertain. Luda and Klara were absolutely wonderful. They were professional, elegant, kind, punctual and, best of all, extremely talented. We are very thankful for their performance and for your organizing the event at such a short notice. Stay updated on the latest news on our website. Join us at OVPES 2017. His violin was the perfect, elegant touch for our ceremony! Thank you so much for your professional services. We were really pleased with our violinist, Michael R. He was very professional and communicated with us frequently prior to the wedding to make sure all our needs were met. Highly recommend him. He made sure to play all the songs we requested and even added two that were not on his list.. Phenomenal!!! Can't wait to hire again. Michael was beyond professional. He arrived 15 minutes early, was a delight to us and the crowd and everyone enjoyed his choice in music! He read the attitude of the room and tailored that to the songs he played. 10/10 would recommend The Internationals, and Michael! Very please with Mike's performance and professionalism of the company. He played during our cocktail hour, and it looked very classy to my guest. Mike did a nice job playing also. They give you a list of songs that you can choose from, and you can suggest some songs to see if the pianist can play it. My pianist called me in advance (closer to the wedding date) to make sure we were on the same page, which I thought was a nice touch. 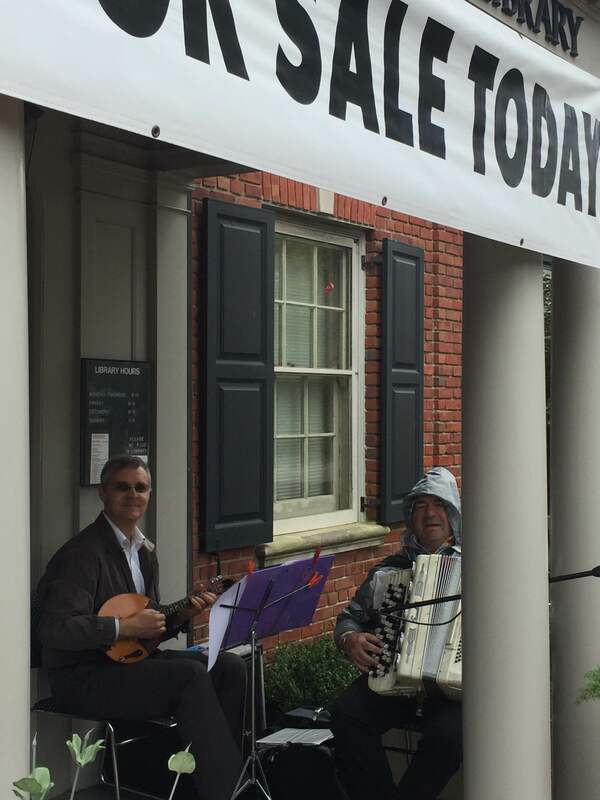 We had Arkady play the accordion at our backyard Oktoberfest party this past weekend and he was a hit! The ambiance he created was wonderful, he was personable and the guests loved him! He also took requests graciously and mingled so well I forgot he wasn't a guest of ours. The whole experience was great, easy and straightforward. My husband and I struggled to hold back our tears when we heard our song being played as we walked down the aisle. We couldn't be happier with the professionalism and ability to adapt to our Persian ceremony. I would absolutely recommend The Internationals a million times over! I cannot put into words how grateful I am to you and the musicians for the BEAUTIFUL job they did at our wedding. They learned our song and brought us to tears, it was incredible! Thank you so much, I will leave a stellar review for them on Gigsalad, and we'll never forget the experience and how the added touch of live music complemented our ceremony. You are all fantastic! We were very pleased with Michael. He had a great attitude, and he did a wonderful job. Many guests commented on his performance. Thank you so much! Michael did a phenomenal job. He was very professional and played all the songs I asked for. I definitely recommend his services. Our weeding ceremony was wonderful with The International ,made our day more beautiful!! !Highly recommend ,Thank You for been with us! Arkady was truly a pleasure to work with. Performance: He arrived early, set-up quickly, and was ready to go for the event. His performance was wonderful and engaging by asking guests for requests. Attitude: Positive and professional. He looked like he was enjoying himself. We had Michael come out to perform for our anniversary dinner. I asked for Italian music to bring back memories from our honeymoon in Italy. He was extremely talented and professional. The music was outstanding! We really enjoyed the experience and would definitely recommend this company to anyone! He is a terrific piano player, and I would recommend him highly. Thank you for making my daughter's wedding extra special! Thank you so much! It was so special and everything went so smooth. His performance was beautiful and exactly what I dreamed of. My Dad was very impressed and definitely will have The Internationals again. It was perfect!!! So very happy! I hope he knows how special he made our day and so happy to keep him as a surprise to my groom to enjoy as well. We loved how he worked with our pianist and vocal singer. Congratulations, you are one of GigSalad’s Top Performers! A perfect touch to the proposal! My proposal could not have gone any better than it did. Arkady was very professional and prepared thoroughly for the day. Both, him and Henry, communicated with me throughout the process to make sure that plans were perfect and that there would be no hiccups when my fiancé arrived for the proposal. The music was beautiful and Arkady mixed in my requests with some of his classics and the collaboration worked FLAWLESSLY. I was very impressed with these guys and will seek them out for future services. GREAT JOB GUYS! Had the trio at my wedding and it was beautiful. We gave them short notice but they were very helpful and accommodating. We had some Indian tunes as well. Highly recommend! Arkady was amazing! Upbeat, classic italian tunes and everyone singing along. Great time with him. We will definitely be hiring him again! 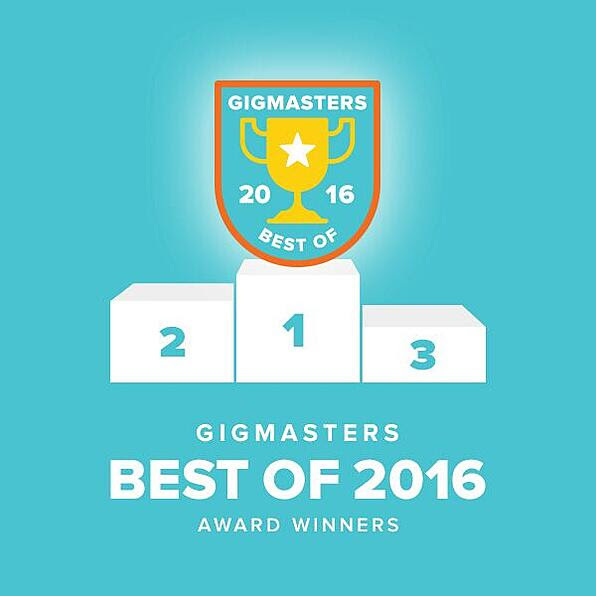 You’ve been awarded the GigMasters’ Best of 2016 badge! This elusive award recognizes those GigMasters members, such as yourself, who have received 4 or more client reviews of 4 stars or higher in 2016! Congratulations! Absolutely outstanding!!!! Professional and nothing short of excellence!!!! Thank you so much for making our wedding day truly unforgettable. Michael K and Larissa were incredible! We received so many compliments on how great the music was that they played for our wedding ceremony. Michael was very friendly and easy to work with during planning. He totally accommodated our custom song requests, able to play classical music, traditional Jewish, as well as Metallica! We could not have asked for more from them! Thank you so much!!! The Musical Christmas melodies played were a perfect touch to Our dinner party. Professional, talented, and the repertoire of music selections beyond my expectations. He even played my grandfathers violin that had not been played in years and was used in silent films. Thank you for making the event very memorable ! I booked the Internationals for a holiday party and they were very professional and played a wide array of songs that were appropriate for the night. The contract and payment process was easy and they were prompt with communication. I would recommend the internationals to a friend. A nice two piece add-on to our event. 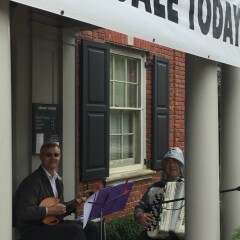 The two piece band (accordionist and violinist) were a nice addition to our line up of entertainment. They performed during the cocktail hour and during dinner. The whole process was easy. I signed a contract with a small deposit a few months before. They called to confirm two weeks before. They arrived an hour before their start time to set-up. When they played, they were good. They music was enjoyable. It was the perfect addition to the dancing music that followed dinner. I would hire them again. Henry worked with me late into the night to book an accordion player and singer for my son's burial. Arkady and Kyle had only two days notice but performed the song, "Losing You" beautifully. It was a wonderful tribute to my son and was a nice moment during an extremely difficult time. We were also much later to cemetery than I thought we would be, but they were both very understanding. Thank you. Henry, thank you very much for all the help getting Arkady and Kyle to perform at the cemetery, they were wonderful. The song was a fitting tribute to the impact our son had on us. I greatly underestimated how long the service would be and how long it would take to get the procession going, so we were over an hour late to the cemetery, but Arkady and Kyle were very understanding and I am very thankful for that. Thank you again. -- Arkady (of The Internationals) has a huge repertoire in the genre requested. -- His performance was lively, and he sounded really good. -- He interacted with the attendees well, and he was full of smiles. -- He was on-time and he made simple setup requests with no demands. In my experience booking programs/performers for libraries, this may have been the easiest. The Internationals delivered on every agreement and performed wonderfully. We booked them to play outdoors and despite winds and overcast skies, they performed happily and with no incident. I am extremely satisfied and would highly recommend Mr. Sergienko and his musicians! Very professional, courteous, flexible and friendly. The Internationals played beautifully during my wedding ceremony and cocktail hour. The musicians got sheet music to match the music I wanted perfectly. At the rehearsal, we practiced the processional along to a youtube recording of the song. At the wedding, they sounded just like the recording, so everything went very smoothly! We have received many compliments on the musicians. Henry and I communicated for months, reviewing which instruments to use for the ceremony, which songs to play, etc. I was impressed Henry actually came to my ceremony to ensure everything went as planned! We were very pleased with the professional performance on keyboard and accordion by Mikhail Antoshin. He was a very pleasant man and very talented. He even came over to the table and sat in front of my 95 year old mother, whose birthday it was, and sang a song to her while playing the accordion. We would hire him again for an event. The only thing I wish is that he had played the accordion more, but we didn't ask him to or he probably would have. We highly recommend hiring Mikhail for your party. They were WONDERFUL! As we walked from our cars to the venue, string music floated on the air to greet us. I had SO many compliments on the musicians. They were able to transition music to the specific activity without missing a beat. I recommend The Internationals if you want classic talent at your event. I only regret not being able to convey my pleasure personally as they left quickly after the wedding completed. Thank you so much for your flexibility and participation. I could not have been any happier with my selection of The Internationals. Professional to the core, Henry made it so simple to book a performer for our Bastille Day celebration. People in town are still talking about the fabulous music. I highly recommend working with The Internationals! Good Evening Henry........Everyone loved Michael and I could not have been more pleased with his performance and attitude. We would definitely book with you again! I will leave a review on Gig Salad but just wanted you to know how happy I was with everything. Excellent performance! We asked for some fun songs from the 1940's. My 91 year old mother was so surprised and she really enjoyed it. Our violinist Michael from the Internationals was such an amazing musician. He was so professional and took care of all our needs. He played for our wedding ceremony and it was beautiful. I would highly recommend them to anyone. Great talent. The Internationals were amazing! They played my wedding ceremony and cocktail hour and I was blown away by their performance! I received so many compliments from people about how lovely and wonderful the music was. Henry organized everything for us and made sure that it all ran perfectly! We feel so lucky to have had The Internationals be a part of our wedding day! Got My Dad Dancing and Re-Energized the Party! Thank you for recommending Michael (accordionist) for my Dad's 65th Birthday Party. He arrived early, warmed up, and played some excellent music. My dad was up and dancing and soon the rest of the party guests joined in even little kids formed a circle. For one person that is quite a feat. Excellent experience with booking and communication as well. Definitely would recommend! Last week , Mr.Michael ( violinist) performed during my son's first holy communion. I highly recommend him. He was great, on time, professional, and played beautifully. Thank you for making my event so special. We hired Mikhail from the Internationals to play the accordion for our father's 87th birthday party. What a terrific performance. He was punctual, professional and talented. It was apparent Mikhail had prepared for the party. He had anecdotes and facts about the music he played. The hour and a half flew by! He really set the tone of the party and everyone throughly enjoyed his performance. Setting the date and getting the contract together was a breeze as well, thanks to Henry. He responded quickly and was also very professional. We appreciate your group and would recommend these musicians to anyone looking to add a little fun to a party. Nina made our party a success. Although it was an 80th birthday celebration, there were all ages, and she was able to play to all. It was like she was one of the family. We were very pleased and look forward to using her for future functions. I would recommend her for any party. Thank you for the email; I appreciate it! The performance was great! They were both wonderful. I couldn't ask for anything more. Thanks again- pleasure working with you! subject: You won Best of 2015! Congratulations! You've earned it by receiving 4 reviews (or more) with an average of 4 stars or higher in 2015. Fantastic!! Well done! Great attitude! Great experience!! I highly recommend The Internationals!! Thank you we enjoyed working with you as well. The musicians were great, they arrived early, they were well prepared, friendly and very cooperative to work with. We hope they enjoyed the service. Absolutely I can do that, he was wonderful and I really appreciate the professionalism he showed up a half an hour early so that worked out well. Thank you again, the family and residents really enjoyed his performance. We look forward to keeping in touch with you for future events. They were wonderful, even with a short notice they were able to book an event and offer excellent customer service. We were in constant communication and I really appreciated their professionalism. I would highly recommend them, everyone enjoyed their performance and will be keeping in touch for future events. As always, you were a fantastic accompaniment to our Oktoberfest celebration! I cannot thank you enough for the excellent entertainment! Add us to your 2016 calendar – October 1 & 2, 2016! Henry was our contact person, and his communication was excellent. Anyone planning a wedding knows how important that it. The musicians (cello, violin, piano) were on-time (early, actually), played beautifully, looked professional, and were polite. They were reasonably priced as well. Highly recommended. We hired a violinist and pianist through the Internationals and were very pleased with them. They arrived on time and were dressed professionally. We really enjoyed the music that they played and would definitely hire them again. Ms. Judy was professional , presentable ,played great music, and arrived early! Pls. pass on our appreciation! You’ve received a new message from Andre Williams, which we’ve included below. We wanted to thank you so much for helping us with music for our wedding celebration! Arkady was an incredible pianist, and provided beautiful songs for the ceremony itself, as well as for the full hour of cocktail party following ceremony, before dinner began. He was extremely professional and so easy to work with. When we weren't sure about what songs to play at certain times of the ceremony, he was always helpful to suggest options for us. He was very knowledgeable, talented, and professional. The cocktail party piano music was just beautiful, and added class and elegance to the whole atmosphere. Our guests were very impressed! And Alex's band was absolutely incredible! They played everything we wanted them to play, and had so many great suggestions for us that we hadn't even thought of. They were flexible, organized, professional, fun, and incredibly talented musicians!. The breadth of music that played was so vast, from jazz during dinner to party music for dancing until the bar closed down! We couldn't believe how packed the dance floor was!!!! We still keep hearing comments from family and friends about the band, and I think Alex and his band now have many new fans after this wedding! We will be looking to catch Alex again on the Chicago music scene! Thanks again guys, you really were incredible! You helped make our night special! Arkady was absolutely wonderful! Many people mentioned how much they enjoyed his music and presence at the opening of the reception. I really appreciated the way he interacted with our guests and moved around the ballroom so that everyone got a chance to see him in action. As requested, he played a variety of music from country and Polish. Thank you for everything, Henry! This has been such an easy and stressfree transaction. Great communication, I was so impressed. The pianist was very professional, clearly had lots of experience, and was very talented. Musically made my wedding exactly what I had hoped for. I really appreciate your help and the services you provide. Thank you Henry. The piano and violin duet for our awards ceremony was the perfect addition to make our event special. The music was absolutely exquisite. Michael did a fabulous job! He was very pleasant and accommodated all of my requests. I would absolutely recommend him to anyone else looking for a violinist for their wedding. Subject: You won GigMasters' Best of 2014 award! Congratulations! You've earned it by receiving 4 reviews (or more) with an average of 4 stars or higher in 2014. Nina was just wonderful-- can't say anymore..... perfect! I had a violinist and a cellist play at my wedding and they were very professional. They had a big repertoire of songs and even played some that I requested. Furthermore, there was no problem from the performers playing at out ceremony outside. They then traveled to the reception inside and did a great job and the throughout the 4 hours they pl ayed at our cocktail hour and dinner in which they sounded great and were very professional. I would choose to have performers from the Internationals play for me anytime. The best thing was that we did not have to stress out about the music we told them what we wanted and they pulled it off flawlessly. Many thanks for wonderful evening. Arkady of Internationals delivered an amazing versatile repertoire and the party was a big success thanks to the artists. Probably the best we and our guests , according to their feedback,had in the long time. We will definitely call upon Arkady in the future. We loved the Internationals! We had a small backyard party to celebrate my husbands 40th birthday. The party got moved indoors due to weather. The Internationals entertained from room to room while my guests laughed danced and thoroughly enjoyed the night. My friends want to hire them yearly just for fun. Thanks for everything I really appreciate it Michael was fantastic! Great guy excellent violinist absolutely amazing! Thanks so much! I had a great experience hiring The Internationals. It was a very smooth process hiring them. The music in my wedding was perfect and I am highly satisfied with their performance. Sorry for the late response, but we left right after the wedding for our honeymoon and just got back. We LOVED the musicians! They were extremely professional and played beautifully! I know they only had a few weeks to learn a few of the songs, but they sounded flawless. We had guests come up after to tell us that they loved the ceremony music. My only regret is that I wish I would have walked down the aisle slower so I could have heard more of Cannon in D :) I was so nervous, I walked too fast! Thank you very much and I hope you can share my above email with the 2 musicians. The violinists were absolutely wonderful and added such a special element to our outdoor wedding ceremony. They were also a hit during the cocktail hour before the reception. We also appreciated that they checked in a few days before the wedding to ensure our expectations will be met. Thank you! Yes we thought he was very very very good! Arkady came early to check out venue and where he would be playing. He arrived on time and set up quickly. My family really enjoyed his accordion music. He had a wide array of songs he played (ex: Italian, polish, russian, german, etc.). This was for my in-laws 50th Anniversary luncheon and everyone was delighted with the background music. It was a hot day and we were in yard; he came inside to the kitchen and stood in doorway and was outside as well. He was able to move around with people and the volume of the instrument was not over powering. People were able to mingle right next to him and still hear each other. The cost of the event was not expensive for the great joy he brought to the occasion. People don't always think accordion music. But it was delightful and spirit filled/giddy event to all! My 80 year old Dad and 52 year old brother and 81 year old mom and 75+ old in laws were dancing on the porch and in the yard....my dad twirled me around....... I have it on video....it was hysterical and one of those events that is now memorialized in everyone's brains because of the added touch of this timeless music. Brought everyone together. Thank you so much! Mikhail's performance and his personality was just wonderful. I would recommend him highly! Arkady came to the party ready to play. He created our party theme's Midnight in Paris ambiance by playing beautiful French melodies on his accordion. He passed through the crowd providing musical background, but not droning out their lively conversations. He is a professional. I highly recommend him. Everyone very much enjoyed your music last night! Thank you for adding such a lovely ambiance to the party! I would be happy to recommend you to whomever asks! The staff and patients enjoyed Arkady's performance. Arkady gave everyone a wonderful holiday surprise with his music, and smiles were on them all. He was very professional. He came early and performed a packed hour. I would not hesitate to recommend Arkady. Thank you for giving the staff and patients at the dialysis clinic a brighter holiday season. Igor was amazing! He showed up early, was professional and polite, and played beautifully. I also received plenty of communication throughout the planning process, making things very stress-free. We received so many compliments about how beautiful the wedding music was. We worked with Henry and the Internationals for our annual Oktoberfest this year at the winery and were utterly charmed by them! Professional, kind and respectful. I look forward to having them back next year! The Aurora (Illinois) Historical Society was hosting an evening of celebration for more than 100 years of Italian American settlement and shaping of our cultural history, and we had just about given up finding an *Italian band*. Then The Internationals came to our attention and through our door, and they were absolutely perfect. Not only were the combination of accordion and mandolin ideal for an Italian sound, but they had an incredible playlist of suitable music and kept going for 3 delightful hours. They even, with barely a week's notice, added an instrumental version of a selection from the opera "Tosca", which probably doesn't get requested that often, but which they knocked out of the park. Our guests loved the musical atmosphere and were singing and dancing in no time. We could not have been more pleased, and definitely will seek out The Internationals for other parties in the future. Thank you, gentlemen, what a great pleasure it was to host you in Aurora! Hi Henry-----just wanted to thank you for providing us with a violinist for my mom's wake service----he did a beautiful job. You all were great. /.../ the audience loved you! Thank you so much for performing! Arkady came out and played the accordion for our wedding during dinner/drinks and did a fantastic job. I got a lot of great feedback from our guest regarding how much they enjoyed the music. If you're looking for an accordion player, he's the guy to go with. Thanks again! Entertainment provided for 50th Anniversary celebration. I invited "Internationals" to provide musical entertainment for my parents' 50th anniversary surprise celebration. Musicians were very professional, provided great music, were prompt and delivered their service at the highest level. They went far and beyond expectations. Would definitely recommend them for an event. Our Marketing Coordinator, Kate Buckson, had this to say " They were excellent to work with, very understanding and well prepared. The music was wonderful! The audience loved it! They were clapping and singing along. The whole ambiance of the performance was really fantastic with the costumes and dancing and fun personalities of the performers. Everyone who attended had a great time." Sounds like it was a success! We were all very happy with the music selection and the player. I received a lot of compliments on his playing. Would recommend gig salad anytime. The wedding was amazing and everyone LOVED them!!!!! ... I heard nothing but WOW's about their performance. Thank you so much and I will surely leave feedback and recommend your services. Arkady was wonderful! He arrived early, played very well, was responsive to the audience as various groups decided to start singing along and added a great deal to the pleasure of the evening. Several people asked for his business card. Thank you so much for sending us a true professional. Happy New Year. Thank you for your participation in Irina's wedding. Recently, I had chance to watch video we recorded during the ceremony, I have to admit that musicians Igor and Mikhail played fantastic. They were a big part of the ceremony with excellent skills and impressive taste. Thank you and thanks to Igor and Mikhail. Gennady Sergienko and Arkady Pevchik have performed at my place as a band and solo on several occasions and were absolutely loved by the public. The dynamic performance of Russian , Ukrainian, Jewish and All-American favorite songs takes turns with jokes and interaction with the ones in attendance and public is kept interested for the whole duration of the concert. It is not a rare picture when restaurant patrons would sing along and dance during performances. Best wishes to you from Crepe Bistro staff, keep up the great work , and will be looking forward to work with you again in the future! The music provided by Arkady was beyond our expectations. He played all my requests and encouraged the guests to sing along. He made the party an unforgettable evening. Thank you so much. Thank you so much for your great performance on Thursday. I heard numerous times that people were very impressed with your music and dance. It was exactly what we were looking for. Thank you for changing things around at the last minute. I am sure it was not easy but you did a wonderful job. I would be very happy to be a reference for you. I would definitely recommend you to others. Please let me know if there is anything I can do to help you out. We were very pleased with the program for our Fish Boil. Ladies were dancing, gentlemen were sitting close listening, we sang with him as he played "Happy Birthday" and "Always," he was pleasant and professional and a very accomplished musician. Thank You! Thank you for referring him to us. We are please to give him a very high recommendation. This is a recommendation letter for a group of musicians “The Internationals”. The Internationals has performed at the location of the International Business Club on December 6, 2008 during the Concert “Fall in St. Petersburg”. Their excellent performance accompanied with a great contact with the audience made the concert a unique and extraordinaire cultural event for the members of the IBC. I would recommend “The Internationals” for any type of gathering as a great and vivid entertainers.